On Wednesday 16th of May, the Casimir Pulaski Foundation hosted military attachés based in Poland. The meeting was attended by over 20 military attachés, who got acquainted with the current activity of the Foundation, among others with the Security and Defense Program. The preliminary agenda of the Warsaw Security Forum 2018 – a flagship conference organized by the Foundation has also been presented, along with a discussion of its main goals and possibilities of engagement within the Diplomatic Partnership. The key element of the meeting was a summary of the current and very fruitful cooperation between military attachés and the Casmir Pulaski Foundation. 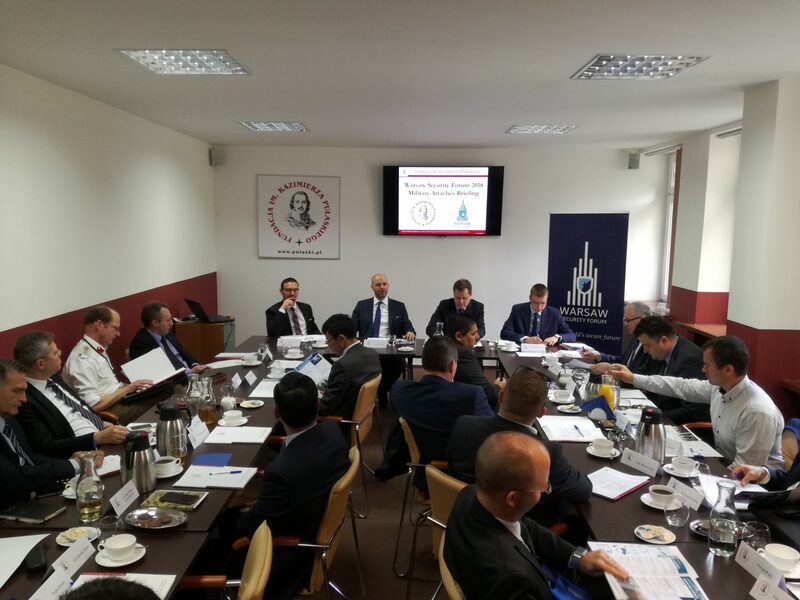 It was the second meeting within the Warsaw Security Forum – Military Attachés Briefing series. The previous one took place last autumn.